In 2012 “Johnny Football” was the face of college football and considered to be the next big thing. Fast forward three seasons and he may be out of the NFL after two disappointing seasons. Johnny Manziel, commonly known as “Johnny Football” has fallen under scrutiny in the past year for numerous of the field incidents. On January 28th 2015 Manziel checked himself into the Caron Center for alcohol rehabilitation, and left in April after a 10 week stay. Before the 2015 season, Manziel promised to fans and the Browns organization that he would create a new beginning for himself and leave his past problems behind him, namely his signature “money sign” celebration. 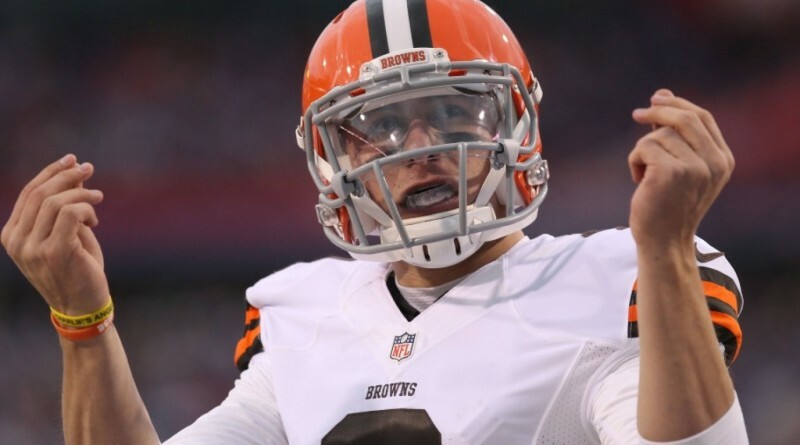 In season, Manziel’s behavior could be described as abominable, horrendous, and shameful. Manziel’s latest incident could cause teams to stay away from him for good. During Week 16, Manziel struggled in a loss against the Chiefs. After the game Coach Mike Pettine reported that Manziel had suffered a concussion, and would miss the next game due to the NFL’s protocol. On Saturday, the eve before the final day of regular season games, Manziel went AWOL. Owner Jimmy Haslam has said that Manziel did not report to team doctors on Sunday morning, a requirement of the Browns organization. The most troubling part was a report that Manziel was found at multiple Las Vegas casinos late Saturday night and into early Sunday morning. In an attempt to cover up the story, Manziel posted a picture of him and his dog with the caption “#saturdaynights”. Although there has been no word from Manziel’s party as to where he was, a new report came out that said Manziel wore a blond wig and a mustache, and went by the name “Billy” to disguise himself. When asked about the recent developments with Manziel, sophomore Alex Lefkowitz thinks Johnny needs to take time off of football and get help. “The most recent allegations are really sad. He needs to get his life together before anything football related” said Lefkowitz. Junior Ricardo Ripley says that he’s disappointed with the recent allegations. “It’s sad to see that a former college football stud has crumbled under the pressure of the NFL” said Ripley. Even with the cloud of trouble hanging over him, Senior Ryan Crooks still believes that Manziel could garner trade interest from teams in the offseason. “He was such a polarizing figure in college football that I would be shocked if he doesn’t get another shot somewhere” said Crooks. Likewise to Crooks, sophomore Brett Litner thinks Manziel will get another shot in the NFL, specifically with the Dallas Cowboys. “Looking at Jerry Jones history of signing people with off-field issues like Greg Hardy and Randy Gregory, I think he could definitely make a trade for Johnny Football” said Litner. Where Manziel will wind up next year is yet to be determined. There is still a lack of concrete evidence in the most recent allegations, but based off his prior history most people seem to believe they are true.